When I saw that lush has brought out a liquorice scented product I was very excited as that is one of my favourite scents. Although the thought of a liquorice scented product might not be everyone’s cup of tea! I think you might find yourself pleasantly surprised with this one. I really enjoyed the name that lush chose for this Christmas product. I think pretty much everyone knows that one person who at Christmas is a real humbug! So think product made me smile and think of them. 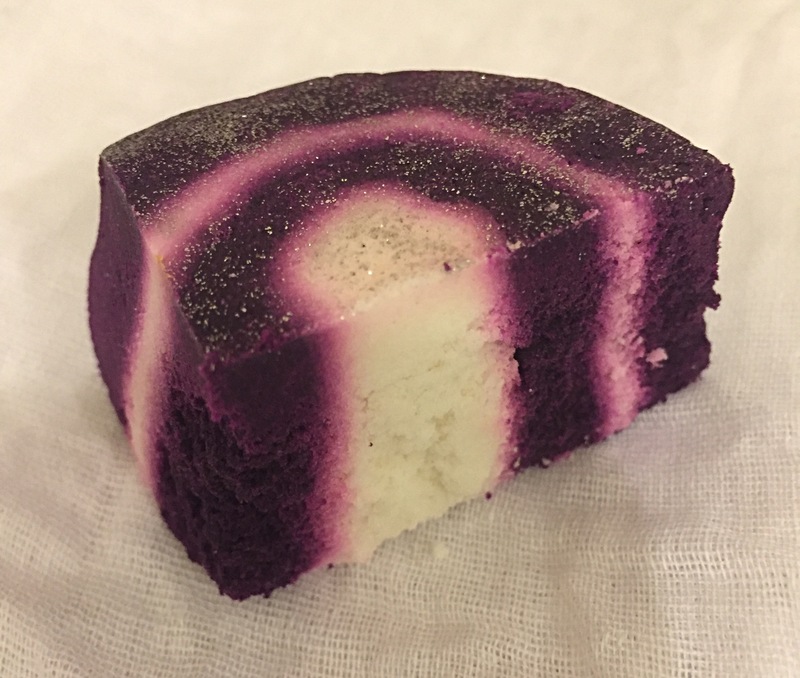 The bar humbug bubble bar has a lovely design. Sporting a great purple colour with spirals of white and a lovely silver lustre. 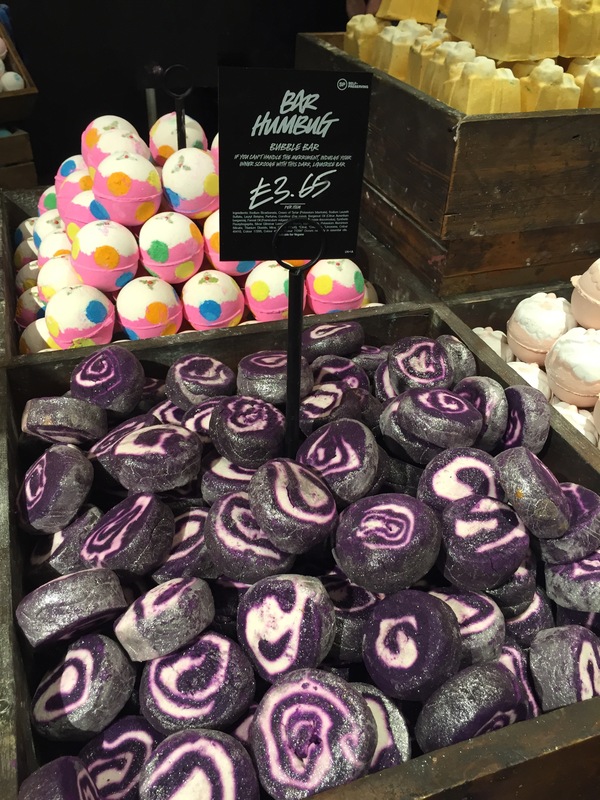 This is a fantastic medium sized bubble bar which should definitely last you for quite some time. The scent wasn’t quite what I was expecting. Although it is a liquorice scent is isn’t particularly as strong as I thought it would be. It is more of a subtle sweet liquorice scent. So for those of you who where maybe a little put off by the thought of a liquorice bubble bar, you might find you actually rather like it. It’s also contains tarragon oil which helps to cleanse and fennel oil to help to relax and calm you as you soak in the bath. This bubble bar will easily last you two possibly three Baths depending on how many bubbles you like to have. I cut up my bubbles bars so I don’t end up dropping the whole thing in the water when I’m trying to crumble it ( I’m a little bit clumsy ). 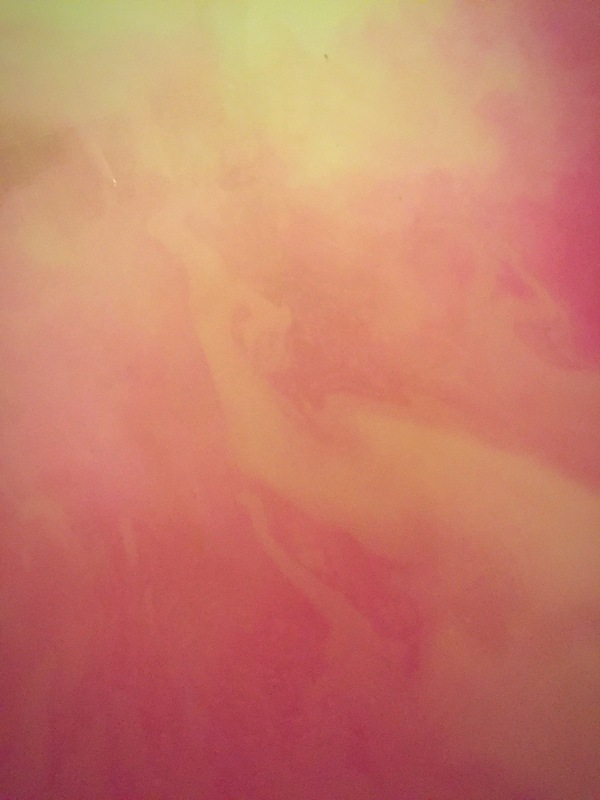 I did actually find this bubble bar a little difficult to crumble, but once I manger to get it going, it created a vast amount of soft silky bubbles. I also adored how purple it turned the water. Overall I’m a huge fan of this product, it smells beautiful and the amount of bubbles it produces is just amazing. I will defiantly be stocking up on a few more of these while they are around still. 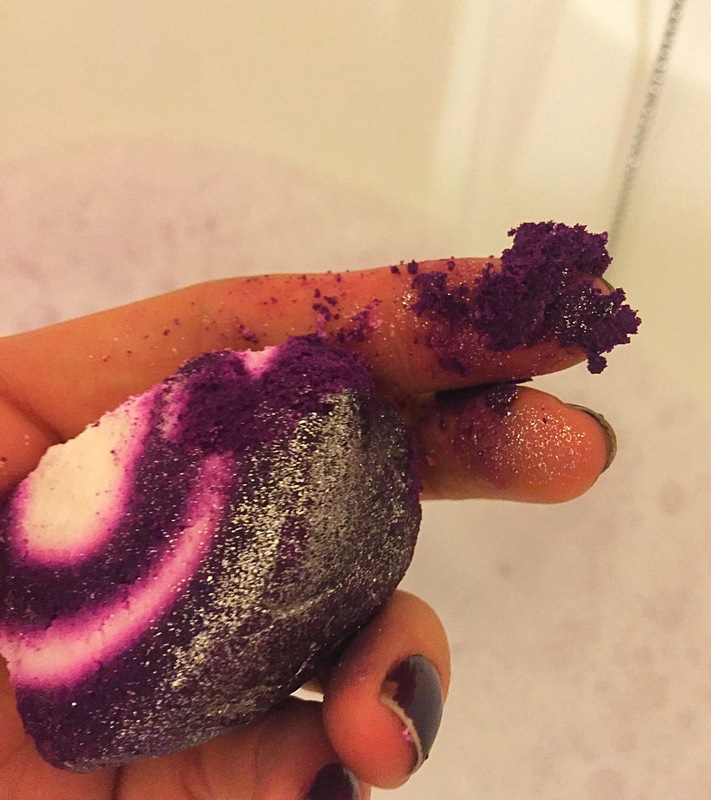 Top tip- cut your bubble bar up to help with crumbling. Ingredients- Sodium Bicarbonate, Cream Of Tartar (Potassium bitartrate), Sodium Laureth Sulfate, Lauryl Betaine, Perfume, Cornflour (Zea mays), Bergamot Oil (Citrus Aurantium bergamia), Fennel Oil (Foeniculum vulgare), Tarragon Oil (Artemisia dracynculus, Synthetic Fluorphogopite, Silver Glimmer Lustre (Corn Starch, Maltodextrin, Potassium Aluminium Silicate, Titanium Dioxide, Mica, Colour 77400), Citral, Coumarin, Limonene, Colour 45410, Colour 17200, Colour 42090, Colour 77226.